It’s been a long time coming and I’m happy to announce that ChrisCelek.com is going away. I’m not. In fact, Celek Media Consulting is growing strong and I’m excited about the opportunities that we’re already working on in 2014. This month, we mark our fifth anniversary in business. That’s way cool, but that also means our website is five years old. It looks like it, and so early in the new year we’re getting rid of the old and ringing in the new. You will now find us online at CelekMediaConsulting.com. The new site again is built on the rock-solid foundation that WordPress provides. We recommend WordPress to our customers and our new website enables us to take full advantage of the marketing and online sales tools available. One of my New Year’s resolutions is to increase how much helpful information I share on our Latest News page on the website. You will get several updates each week, with news you can use, tips, best practices and the new “Your Business Minute” videos. 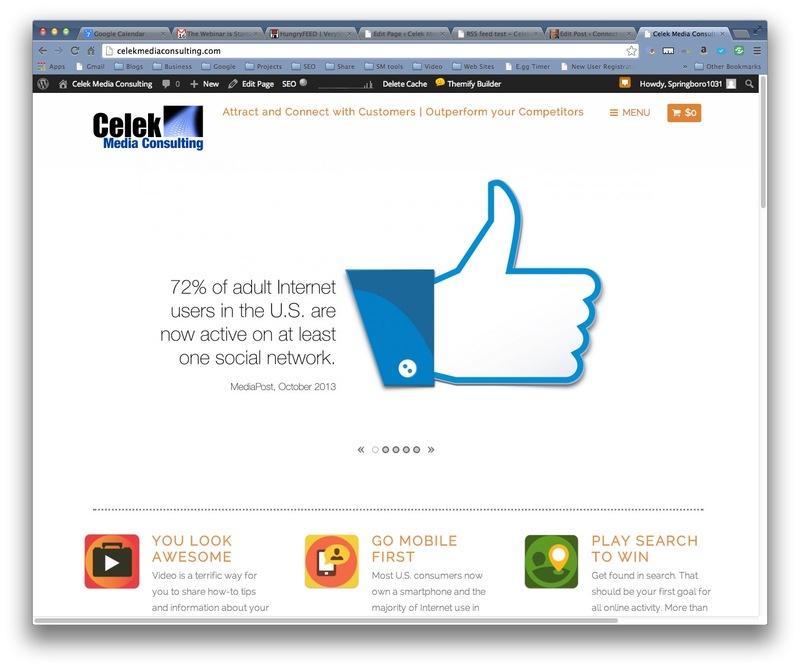 This old website at ChrisCelek.com served us well as we launched Celek Media Consulting. As a business, we are taking on big new projects in 2014 and the time has come to take big steps with our web presence, too. I hope you will join us in our new digs at CelekMediaConsulting.com. And, as always, I want to hear about what you’re working on. Let me know how I can help you. This entry was posted on Tuesday, January 7th, 2014 at 5:47 pm and is filed under Social Media. You can follow any responses to this entry through the RSS 2.0 feed. Both comments and pings are currently closed.